Obama suggests mandatory voting: Marco Rubio and conservative wonks push back. Barack Obama told a crowd in Cleveland this week that mandatory voting would take away some of the power of money in politics. The president appeared to endorse mandatory voting laws this week, and his comments have a few Constitution wonks scratching their heads. 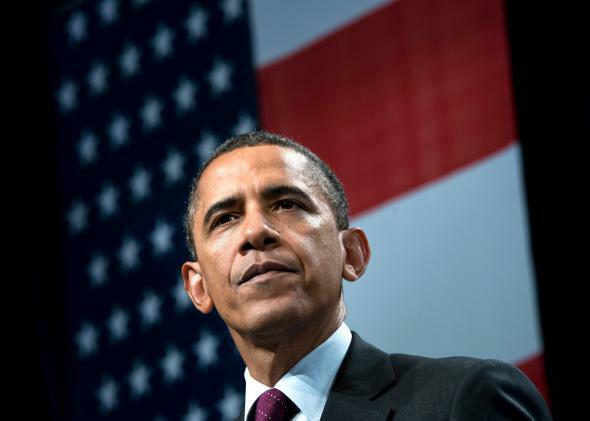 In a speech before the City Club of Cleveland yesterday, Obama praised compulsory voting laws. He then decried the influence of large-dollar donors on American democracy, and said that mandatory voting laws could undercut their power. “That may end up being a better strategy, in the short term,” he concluded. Sen. Marco Rubio and others quickly criticized Obama’s comments, and White House press secretary Josh Earnest walked them back a bit today. “The president was not making a specific policy prescription for the United States,” he said, per the Washington Times. What’s so objectionable to conservatives about mandatory voting? Hans von Spakovsky, who heads the conservative Heritage Foundation’s Election Law Reform Initiative, said mandatory voting would violate the First Amendment. “The ability to speak freely under the First Amendment includes the ability not to speak if you don’t want to, and that’s what you’re doing if you decide that you don’t want to vote,” he said. “I just think this is a nutty proposal,” he added. And Trevor Burrus, a research fellow in the Center for Constitutional Studies at the libertarian-leaning Cato Institute, also argued that choosing not to vote is a form of political speech that the First Amendment protects. Mike Kelly, a Republican congressman from Pennsylvania, said that the right not to vote was essential. The president’s suggestion found a warmer reception on the left. Michele Jawando, Vice President for Legal Progress at the Center for American Progress, said that mandatory voting laws wouldn’t violate the First Amendment as long as voters had a “none of the above” option and could choose not to vote for a specific candidate. “I think it would be Constitutional, without question,” she said.